We see a whole range of kids with or without a diagnosis who require assessment, skill development, support, environment strategies and equipment modifications. Our clinic is at Keperra 8km directly north from the CBD. We are a 5-min. walk (900 m) from Keperra train station and down the road from Great Western Shopping Centre. While it doesn’t look much from the outside, we have 4 consult therapy rooms, one is a kid’s gym for our active people. 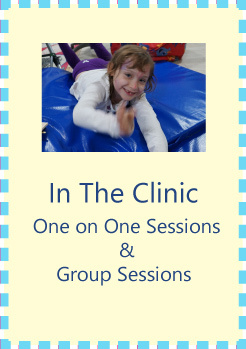 Filled with many different types of resources such as equipment, resources and toys, the clinic will motivate your child and engage their senses so they may grow and develop their skills and ability to participate in activities. It is a great place for parents to come and see age appropriate resources and the types of activities and equipment your child likes and could be playing with. Come over and see for yourself. We deliver therapy to your door. We will provide a one on one 50 min. session with an Occupational Therapist to your home. We understand that it is tricky to get everyone out of the house to go to a therapy session. We can arrange for your therapist to come to your home for intervention therapy sessions. We can use the resources that you already have in the home to work on your child’s goals. We an also see you child for therapy at their school. Children often require ‘a little’ or ‘a lot’ of support when participating in home activities. Humans strive to become independent in all aspects of their lives. Self-care routines such as bathing, toileting and sleeping routines. Self-care routines associated with internal mental self-calming, such as calm down strategies and calming activities that build motivation and excitement in their lives. Finding enjoyment in play and building a repertoire of childhood interests. Developing skills in play and helping your child to develop their internal ability to organize their thoughts so they can become more independent. Getting organized for the school and/or daycare day. Setting up structures to help your child succeed in completing their tasks before leaving the house on time. Setting feeding goals and intervention for home mealtimes. We can work with you on ways to improve your child’s limited repertoire of food. Thrive Therapy provides support to both parents and teachers in making the school a more relaxed, enjoyable place to be. Thrive Therapy offers consultative advice, support and intervention to children and their teachers. Strategies to help your child stay ‘on task’ in the classroom and to Attend. 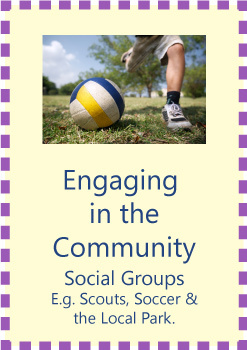 Assist them to transition between activities with minimal disruption. Other strategies required for some children can be around knowing when to ask questions, be quiet or ask for help. Children all have individual developmental profiles and traits and one type of strategy does not ‘fit all’. Some children may lack insight and continually ask for help while other children may ‘fly under the radar’ and never ask for help when they require it. Strategies for staying calm and seek ‘time out’ or movement breaks in the classroom are examples of the type of strategies Thrive Therapy may endeavor to teach your child. Cognitive Strategies to help them work through a classroom based activity are also important strategies we can work on to help your child. Confidence building via activities – Setting up activities that are a good ‘fit’ for your child as they are both challenging and motivating while give your child success is one therapy example we use at Thrive Therapy. Setting up the environment so there are less environmental sensory loads on the child. 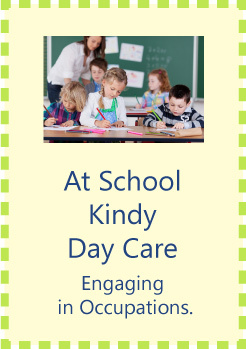 Helping the teacher set up more structure, routines and levels of support for your child. Trialing assistive devices to make school based tasks less taxing on the body. Multi-sensory cueing – Providing cues that help your child understand and feel more relaxed about the order of the day. For example, one on one discussion with the teacher about what’s going to happen; a device or other means to help the child understand the concept of time how long each activity will last; avenues to have movement breaks so your child’s muscle receptors are stimulated to wake up the body before engaging in another task; use of visual aids. We see kids a whole range of kids with or without a diagnosis who require assessment, skill development, support, environment strategies and equipment modifications. We try to build a community here at Thrive Therapy by offering many groups and information sessions to parents so you and your child can interact and be involved with other children. We embrace diversity, special needs and individuality. We believe every child is special with many strengths.